This post may contain affiliate links. If you purchase an item through one of my links, I will earn a small commission at no extra cost to you. 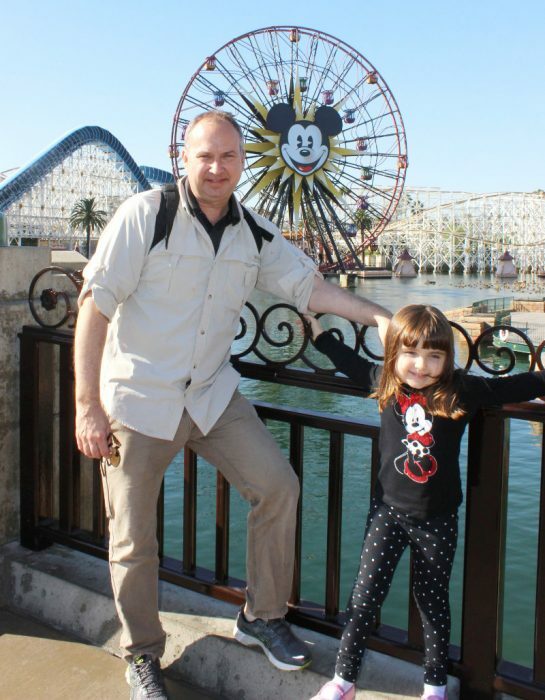 Interested to know exactly how to travel on a budget to Disney? This post will show you just that. 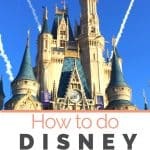 Step by step instructions on how to go to Disney cheap. Whether that’s Disney World or Disneyland, below are specifics for both. This is how we travel so often. It’s the world of credit card hacking. My previous post, How to Travel Hack with Miles and Points, received a lot of attention, however, this post goes into much more detail. I’m laying it completely on the table, giving you exact instructions. Theoretically, you can change the destination and STILL be able to use the same advice. Note: I do not have any credit card affiliate links. The links below direct you to the bank website with no affiliation from me. I added them here to help you in case you decide you want to get started with miles and points. Let’s plan a 6-night trip staying on International Drive which is an easy 20-minute drive to Disney World, however, it’s closer to Sea World and Universal Studios. Chose the Hyatt Place Orlando Convention Center as your hotel. All Hyatt Place hotels come with free breakfast if you book the hotel directly through Hyatt’s website and are a loyalty member (so join if you are not already). Free breakfast is my favorite perk when I am looking to book a hotel! And if you are trying to do Disney on a budget, this really saves money and is convenient. Room prices start at $149 per night plus tax (for a stay in August with a King Bed, $10 more per night for 2 doubles). However, with points, it’s 8,000 points per night either in a king or 2 doubles. The Chase Hyatt Visa card comes with a 50,000 point bonus right now after spending $2,000 in the first 90 days, plus an additional $3,000 in six months. That one card would completely cover your hotel stay. Think about it… One credit card alone gives you a bonus of $1,000! We stay in a lot of Hyatt Place hotels. Personally, I like the layout of the rooms with beds at the far end, a small divider and a corner couch up front. For a larger family, these are perfect because you can get 2 queen size beds, plus you have corner couch that pulls out to a sofa bed. We could do a couple of different routes here. Personally, I like flying Frontier from Cleveland to Orlando because it’s non-stop and pretty cheap. I will sacrifice any luxury for a 2-hour trip! However, for the sake of this article and flying free, let’s discuss credit card miles. I will go back to my beginner’s suggestion of collecting American Airlines miles. American miles are the easiest to collect because two different banks issue their credit cards: Citibank and Barclays. Barclays Aviator Red card has a 60,000-mile signup bonus with your first purchase and payment of the $95 annual fee. The Citibank Advantage Platinum Select card has a 50,000 bonus after spending $2,500 within the first 90 days. Now, if you are flying less than 500 miles, American only charges 7,500 miles each way. This would be something like Charlotte to Orlando. At 15,000 miles roundtrip, one credit card bonus of 50,000 points would be all that’s needed for 3 people to fly for free (plus taxes of $11.20 per person). The majority of people pay 25,000 miles roundtrip. In this case, both adults could get the Barclay Aviator Red card and, after paying the annual fee, you would have 120,000 American miles. We look for a credit card that has a travel portal allowing you to book rental cars, as well as flights and hotels. The first that comes to mind is the Chase Sapphire Preferred credit card. This card is really one of the best credit cards out there because the points you earn, Chase Ultimate Rewards points, are a transferrable currency that allows you to either transfer to airline or hotel partners, or use them through the travel portal. In addition, this card has primary rental car collision coverage, so it’s great for renting cars. Currently, the Sapphire Preferred comes with a 60,000 point bonus (worth $750 in travel booked through the portal) after spending $4,000 in the first 90 days. Annual fee is $95. A one-week rental from Orlando Airport in a standard car is $350 for an August rental. Booked through the Ultimate Rewards portal, that costs 28,000 points. Plus, we still have a little over half of our bonus remaining. Since we rented a car, we have some extra expenses such as parking fees, tolls and gasoline. Luckily, the Hyatt Place Orlando/Convention center has free parking. But, driving to Disney World costs $20 per day for parking (yes, it’s that steep!). Since we have a 4-day ticket, that’s $80 in parking charges. Using a toll calculator site (because I don’t exactly remember even though I was just there a couple of months ago), it computed $3.50 each way in tolls from the airport to Disney World. Let’s add $20 in gasoline, too, as we will need to fill up returning the car. This is the most expensive part of the trip. However, there is a credit card that codes Disney tickets purchased through an authorized seller to code as a travel expense that can be reimbursed. The credit card is the Barclay’s Arrival Plus card and the authorized Disney seller is Undercover Tourist. I have used Undercover Tourist for ALL of my Disney tickets for the past 10 years. They offer some tickets at a discount, ship for free (if you opt for printed tickets – they also can email them) and no tax is applied. These tickets are the exact same that you would buy on Disney’s website. You can link them to My Disney Experience and get your FastPass+ tickets just the same. Sometimes, Undercover Tourist runs specials and when Disney raises its ticket prices, Undercover Tourist still has some you can buy at previous prices (only until they run out). Barclay’s Arrival Plus has a signup bonus of 70,000 points after $5,000 in spend within the first 90 days. Once you have your bonus points, head on over to the Undercover Tourist site, pick your tickets and pay for them using your Arrival Plus credit card. In this example, I chose the 4-park magic ticket in the summer months (peak season). An adult ticket is $378.80 and a child 3-9 is $358.86. Remember, under 3 is free. For a family of 3, the total ticket cost is $1,116. Ouch, that hurts any way you look at it. Fortunately, the Arrival Plus card can wipe out some of that. Once you have your bonus points in your account, you can choose to redeem them for this travel expense. You would have at least 75,000 points in your account due to your initial spend, therefore you could erase $750 off your ticket expense. Theoretically, both adults could apply for this card and wipe out the entire amount. If you do that, make sure that each adult makes a separate purchase using their card to pay for the tickets. I chose not to do that in this example to reduce the number of credit cards applied for. Also, please make sure the read the details of the tickets you are purchasing. Last year, Disney introduced different tickets for peak and non-peak seasons, so just make sure that your ticket allows entry for the dates you are planning to go. Undercover Tourist shows you the exact dates your ticket is valid. Okay, let’s take a look at our spending and how we got here. This chart shows how and what we are paying for each item. Five credit cards and $800 gives us 6 nights in Orlando, airfare for 3, car rental and 4-day Disney tickets. Worth it? That’s up to you to decide! But, it CAN be done with a little effort. But, can we do better??? Disney on a budget – Air, hotel and tickets for under $700. This example assumes you are going to take a hotel shuttle to the Parks and Uber it from the airport. I can’t believe all the great TripAdvisor reviews the Hampton Inn Lake Buena Vista receives! Seriously, if you are looking for an inexpensive stay, this place fits the bill. Room rates are $150 per night plus tax or 30,000 points each night. We are staying 5 nights this time, but taking advantage of the 5th-night free perk Hilton gives its loyalty members. The American Express Hilton Honors Ascend credit card currently has a 130,000 point bonus after meeting the $2,000 minimum spend in 90 days. This will cover the cost of your stay. There is a $95 annual fee we need to keep track of, but other than that, there is no other hotel cost. A breakfast buffet is provided free of charge at all Hampton Inns. Since there is no car in this example, we need to figure out the transportation expense to and from the airport. Uber estimates we can get an UberX for $31 from the airport to the hotel and $24 on the return. There are also some days the hotel shuttle service to the parks may not be convenient for you. Let’s assume there are 4 times this may happen. Uber runs between $10-15 each way depending on which park. Taking the high side, let’s budget $60 for Uber beyond our airport transportation. Airfare and ticket costs are the exact same as the previous example. However, this time, let’s get the Citibank Advantage Platinum Select card. You have to meet the minimum spend requirements to get your points (unlike Barclays’s which gives them to you upon annual fee payment), but the annual fee is waived the first year. Here’s our overall calculation. We are applying for one less credit card with our out of pocket costs at $610. That gives us airfare for 3, hotel for 5 nights, a couple of Uber rides and 4-day magic park tickets. Hmm.. can we still do better? Let’s assume airfare does not change from above. Still pursue using American Airlines miles. Remember that flights under 500 miles are 7,500 points compared to the rest at 12,500 points. Stay at the Hampton Inn Anaheim Garden Grove. Again, Hampton Inns provide a free breakfast buffet. It also is within walkable distance from Disneyland! The website says the park is .8 miles away. We did this two years ago when we visited and it was very easy. This Hampton is 30,000 points per night with the 5th night free. A five-night stay here is 120,000 points which can be had with the American Express Hilton Honors Ascend card, same as above in Orlando, so the only hotel expense is the annual fee of $95. Since we can walk to Disneyland, there really isn’t a reason to get a car. However, we do need to get to the hotel. I suggest flying into Orange County airport because that is closer to Anaheim. Uber estimates it will cost $21 to the hotel and $20 on the return. Use the same method as above and use the Barclays Arrival Plus card to pay for your tickets through Undercover Tourist. Disneyland has only 2 parks, plus Downtown Disney, but we will still stick with a 4-day 1-park per day ticket. Adult cost is $301 each and child (age 3-9) is $283. Total ticket cost is $885 – a couple of hundred dollars lower than Disney World. We can now do 4 days at Disney on a budget, including hotel, airfare and transportation for around $300!! 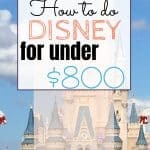 While this post may be titled How to go to Disney Cheap, you really can insert any city (in the continental USA for exact airfare comparison) into this instead of going to Disney. You just need to find a hotel that compares in price to the ones listed above. Is this a lot of work? It is. But, it is also worth it if you want to take your family on a memorable vacation without spending much cash. 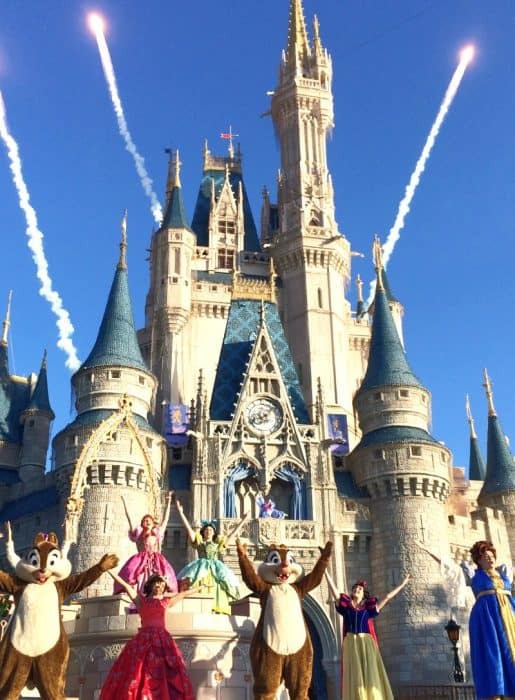 Disney on a budget – what could be better! Once at the parks, it’s easy to spend a lot too. Here are 7 ways to save money at Disney. Does this sound do-able to you? Is this something you would ever consider? Please let me know in the comments! Don’t forget to download your Disney vacation planning organizer right here! Please PIN this post if you enjoyed it and think others can learn too! Wow! That’s truly amazing. It does seem like a part-time job to manage all of the different cards, but it’s totally worth it if you’re on a budget! Great tips, per usual. Christine – loved these tips! Working on a big trip with grandkids and this will come in handy for the group. We’ll be taking advantage of a lot of your experience and research! Thanks, Cindi! These tips can be applied to almost any destination… plus, even doing just one or two helps! Hope you have a great trip! I’ve never signed up for a credit card to reduce travel expenses before. The amount you showed that can be saved is amazing!! So would you normally sign up for 4-5 new credit cards prior to a vacation to get the total savings? Hi Val. It’s a lot of planning! You need to be able to meet the minimum spend (if there is any – only a few do not, like the Barclays Aviator Red). Because of that, I apply for credit cards one at a time over the course of months or even a year (but my husband does it too, so that helps). For our Europe trip in 2020, I had my sister start applying about 14 months before we were going to BOOK the air and hotel. So, that’s 2 years before the trip (but it is a big trip with multiple hotels and crossing the Atlantic for 4 people). If you can meet the minimum spend quickly, it’s a lot easier. Some people have their own businesses and put a lot on credit cards, so that helps. Or if you have a large purchase coming up, you can split the payment over multiple cards. You are only given usually 90 days to meet the minimum spend to trigger the bonus. That’s why I work on each credit card spend one at a time. Hope that makes sense. Please reach out if you have more questions. I was a little baffled when my cousins went there with two kids very little, but you mentioned under 3 is free, that’s probably why! I would like to go at least once when my daughter is older, maybe age 4 or 5 so she can remember the experience! I went twice when I was 4 and 6. I think we went when my daughter had just turned 4. They never asked for her ticket (we did have one – at that time they had no expiration tickets), so it went unused. It’s actually a bonus they get in free and can eat free too – even at the character meals. WOW! So many great tips! I’m sharing this with our Disney Obsessed niece. 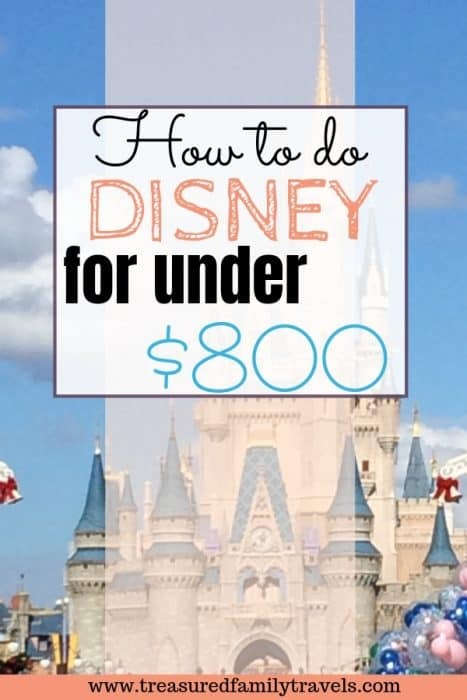 These are fantastic money saving tips to Disney! Definitely keeping this in mind for next time we go! You always have the best tips and tricks. I’ve been wanting to go to Disney for a while now, and this post makes it seem possible. Thanks for the tips! It’s definitely possible! If you have any questions, please ask. Subscribe to the newsletter for credit card miles & points tips, vacation planning PLUS access to my free resource library! Living to Travel LLC is a participant in the Amazon Services LLC Associates Program, an affiliate advertising program designed to provide a means for sites to earn advertising fees by advertising and linking to amazon.com.